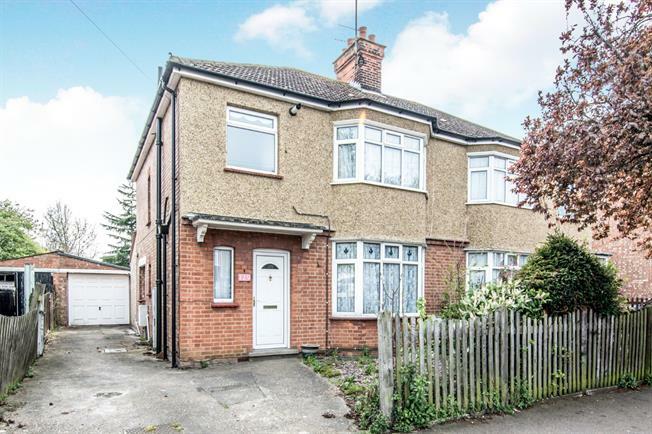 3 Bedroom Semi Detached House For Sale in Bedford for Asking Price £325,000. The property is presented in a good order and is being sold chain free. The internal accommodation comprises of entrance hall, bay fronted lounge with feature fire place, dining room also with a feature fire place and lead to the conservatory. Kitchen which has been extended and W/C. The first floor offers three bedrooms with the master and bedroom one having built in wardrobes, all three bedrooms are serviced by the family bathroom. Outside the property offers garage and driveway to the side. The large south facing rear garden is a huge selling feature of the home. The property is being sold chain free.